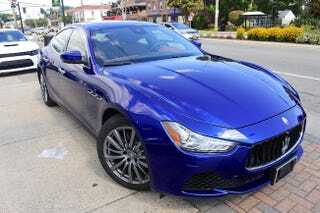 For $25,000, a Ghibli S Q4 offers over 420 hp, great sound, and AWD in a reasonably weighted package. The Chysler parts means you dont need to deal with sticky/flakey buttons as the soft touch coating disappears, an infotainment system that is actually usable as the cars age, and the car can sit for a week or two at a time without the battery draining. A lot of poor points when new become strong points when old. The lack of safety tech and cameras on the early cars may be nice. Didnt see that cross-shopping coming!